The North American Board of Certified Energy Practitioners (NABCEP) offers certifications and certificate programs geared toward renewable energy professionals throughout North America, including a certification program for solar electric installers. 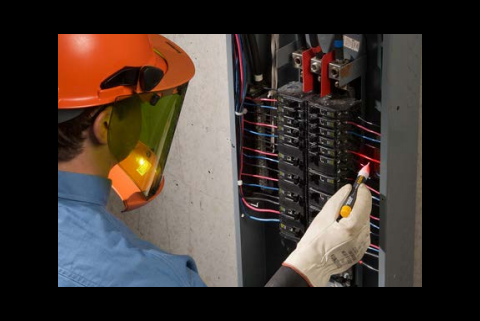 Placing electrical equipment or systems in an electrically-safe work condition might seem simple, but there are several factors to consider. Accidents that involve electricity can be caused by unsafe equipment, installation, environment, or work practices. Stay as far away as you can from electrical equipment and systems with exposed live components. 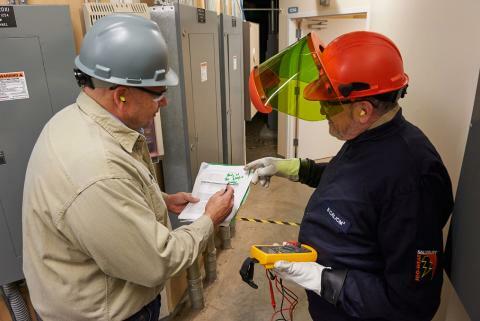 Avoiding arc flash hazard at an asphalt plant where safety is a top expectation, with the use of Fluke wireless tools. 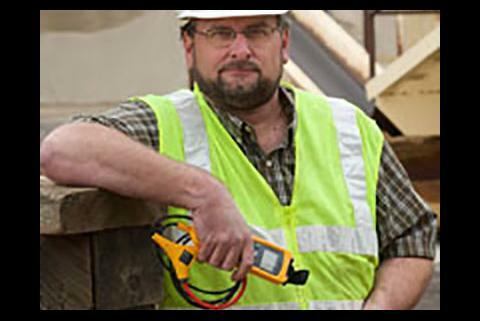 Ten ways to save your life when working on electrical systems. Anyone who makes their living by working with electricity quickly develops a healthy respect for anything with even a remote chance of being "live." Yet the pressures of the getting a job done on time or getting a mission-critical piece of equipment back on line can result in carelessness and uncharacteristic mistakes by even the most seasoned electrician. 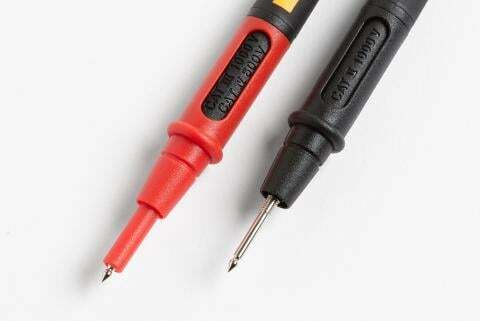 Curb explosive potential with intrinsically safe tools. For those who work in industries where flammable materials are present—such as petrochemical and pharmaceutical plants, oil platforms, refineries, pipelines, and mining—the potential for an explosion is a daily reality. All it takes is a flammable material coming into contact with air and an ignition source. 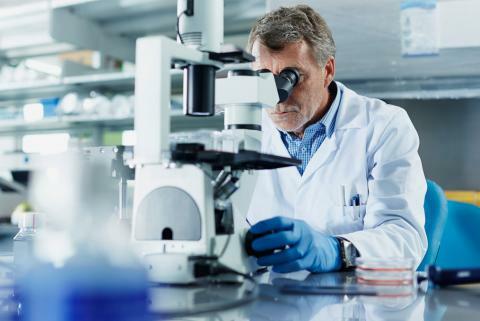 Thresholds between solenoid-based testers and electronic testers are markedly different and carry consequences for safety and convenience. Understand the real dangers of arc flash, how to protect yourself from it and the standards for protection. 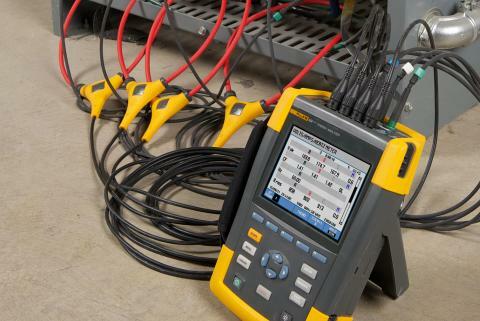 Learn how to visually inspect your equipment and test your leads and probes. 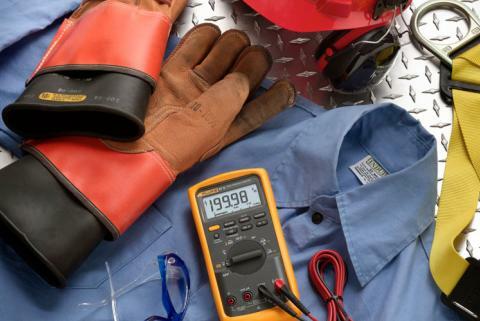 IEC Category Ratings: Use the Right Tools for the Job.As with appropriate personal protective equipment (PPE), using the proper tools for the job can help keep electrical workers safe. Out on the job site, concrete finishers stand ready to shape wet ready-mix into a new stretch of highway. Mixer trucks are lined up at the concrete batch plant,waiting to take on their loads. But hold on—an electrical problem has shut down the plant. It's time to call Keithly Electric. Mixing higher voltage 480-volt three-phase cables in the same cabinet as lower voltage 24- or 120-volt control wiring and communication cabling can result in erratic operation or even complete failure of electronic equipment inside the cabinet. Knowing what is inside the cabinet before you open it, the specific wiring issues to look for once inside, what values to measure, and simple ways to correct problems can help alleviate many erratic and sometimes "mysterious" control and communication issues on the plant floor. Inductive heating, which typically occurs when phase conductors are routed around metal mounting channels, supports, or braces, can cause catastrophic and deadly failures in electrical distribution and control equipment. The effective date of the latest version (the 2011 edition) of NFPA 70: National Electric Code” (NEC) was August 25, 2010. It was published in September 2010. Late on a Sunday afternoon the Kern County Fire Department responded to a call at a store on Rosedale Highway in Bakersfield, California. Crews found that a row of solar panels on the roof had caught fire. Some of the panels were still live when the crew arrived, so the fire crew had to take extra precautions until electrical power could be disconnected.